When putting together your estate plan, it’s helpful to know how a will or trust can be contested after you pass away. A trust or will contest refers to situations where a lawsuit is filed arguing the validity of your documents. If the will or trust is successfully contested, then that document is thrown out. This outcome can be disappointing and even catastrophic for the beneficiaries listed in the will or trust. A will or trust contest can be filed by an individual with legal standing in a lawsuit. This means that the individual will somehow be personally impacted by the outcome of the case. 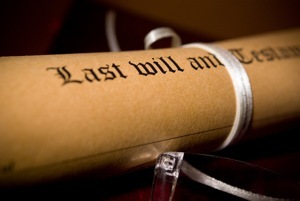 Disadvantaged heirs and disinherited heirs are the most likely to contest a will or trust. Likewise, beneficiaries who were given a bigger share of assets in a previous trust or will are also likely to contest existing documents. Individuals with no standing in the suit are not eligible to challenge a will or trust, even if there is evidence supporting the claim that the document or documents are not valid. There are four primary grounds on which someone can file a contest to a will or trust: allegations that the will wasn’t properly signed under state law, arguments that the person was forced into signing the will, claims that the document was procured by fraud, and arguments that the person signing the will did not have the necessary capacity to do so. Make sure you’ve constructed a valid will to limit the opportunity for family disputes after you pass away. For more planning tips, drop us a note at info@lawesq.net.